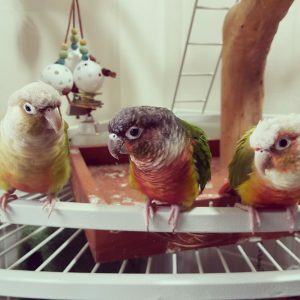 Chewy.com provided us this Pedi-Perch to test out with our green cheek conures and review the product at no cost to us. We got the medium. It has two textures, and different gripping sizes to work their feet out from fatigue. 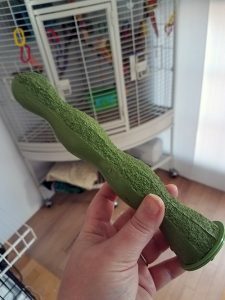 It sounds great, definitely affordable, I got the appropriate size, they didn’t send it to me in purple (they hated my purple hair), and this is a highly rated item on Chewy! 4.6 stars with 50 reviews! It sounds great for my three girls. They didn’t scream when they saw it or when I put it in at the beginning. They just never used it. I had it right next to the seagrass play mat, and so they stopped using the seagrass play mat. I took it out after 2 weeks, and Koi Monkey let out a shriek like she’d never seen it before, and I startled her. So that happened. 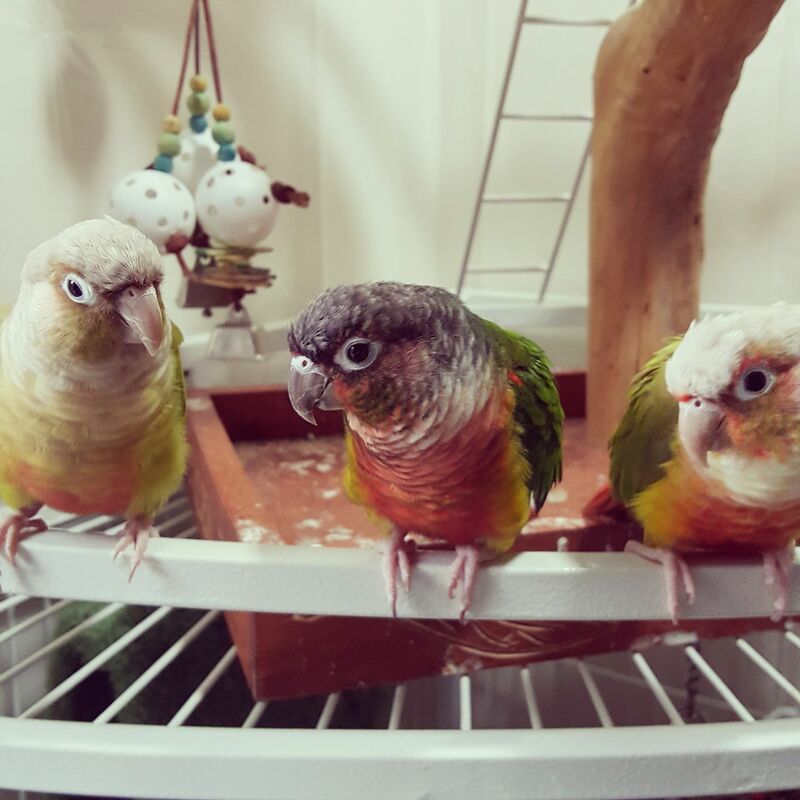 I could show you how to clip your birds’ nails, which is honestly horrifying if you’re empathetic, because my girls are dramatic, so I won’t. Or you could give this Pedi-Perch an honest try – 78% 5* reviews.